January 16: Vite was listed on Bittrex Exchange. January 17: The reward for full-nodes doubled. January 18: The smart contract function was released on TestNet. Vite became the first DAG-based public chain to support smart contracts. January 21: Version 1.3.0 of the Vite iOS app was launched with an added Discovery module. In this new tab, users can collect airdrop rewards, read the latest Vite-related news, and check out upcoming campaigns and events. January 30: The first in-app game, “High Roller”, was developed by the Vite community; the goal is to guess the correct number of dice and win VITE! iOS App: Iterations for versions 1.3.0 and 1.3.1 were completed. Version 1.3.1 has added a Discovery tab and an anti-cheat feature within the airdrop function. The contract call function for the js bridge protocol and the QR code was developed. Android App: Voting features within the Android app were added. Other updates include development of the js bridge function, an enhanced QR code recognition rate, and the ability for H5 to interact with the app. The two-dimensional code content has been enriched by the new protocol. Web Wallet: The test for version 1.3.0 was conducted and a one-click token conversion function was added. The H5 airdrop page is currently underway, this will include the development of a ‘rewards viewing’ feature and bridge protocol docking. Version 1.2.2 is now live and a smart contract function has been added. The hard fork of this version was completed. Optimization of P2P network file downloading speed. Bugs fixed within the P2P message filtering function. The boundary bug of the ledger cache was modified. The Java version of the go-vite SDK was released. Version 0.1 in back-end services and the built-in contract function were completed; the next step is onducting an integration test. Version 0.2 developed select features including unit testing, fee collection, bill of lading verification, and timeout order processing. Version 1.0 will support dividend distribution. 20% of the overall development has been completed. The test exchange push service is now 60% complete. 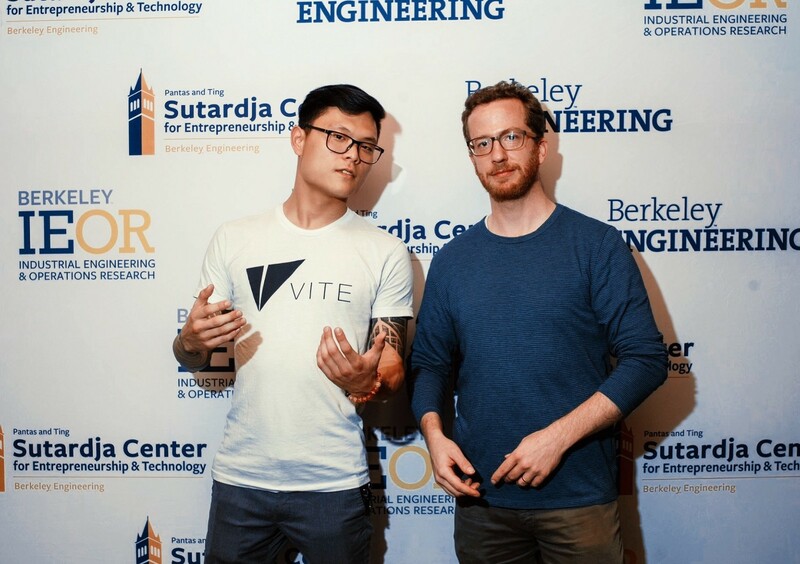 January 14 –18: Vite CMO, Luke Kim, attended Berkeley Method of Entrepreneurship Week and gave a presentation about the Vite platform, showing the students how to use the Vite app for digital asset management. A Review of 2018: Vite’s Chief Marketing Officer, Luke Kim, published a Medium article discussing Vite’s listing on Bittrex International, reflecting on Vite’s progress and development in 2018 as a whole. The goal for 2019 is clear: Vite will focus on showing the community what real-life usage cases can be applied to public chain technology. “Vite Vs.” Campaign: For the month of January, Vite’s Twitter account launched the Vite Versus campaign, encouraging followers to compare the Vite project against other public chains. Participants with insightful tweets were awarded 300 VITE throughout the month. Vite Forum AMA: On January 25 to 28, Vite leadership hosted an Ask-Me-Anything series, encouraging users to ask challenging and informative questions on the Vite Forum. The 3 most insightful questions were awarded with 300 VITE respectively. 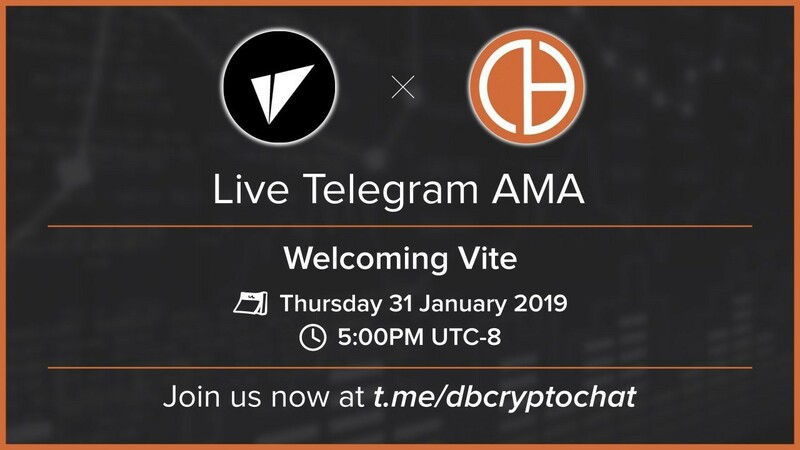 Vite Telegram AMA: On January 31, Vite held an in-Telegram AMA that was hosted by DBCrypto. The 3 most interesting questions asked were awarded 1,500 VITE respectively. *Note: There will be a temporary logistics delay due to the Chinese Spring Festival, all Vite store orders will be shipped out after February 19, 2019.